WhenFresh provides data-driven solutions for right-time marketing. WhenFresh combines over 200 private & public UK data-feeds with advanced analytics and API delivery to provide a unique range of data-driven services to the Financial, Insurance, Utilities, Retail and Property-related sectors. 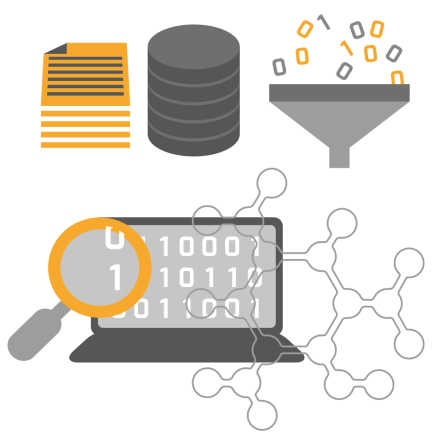 Unrivalled Data Assets + Innovative Data Science + Flexible API delivery. WhenFresh provides the UK Financial Service sector with a wide range of data-driven solutions for customer acquisition & retention, data verification, risk management and collections – Available directly and via resellers/partners including Experian, Equifax, CallCredit, Axciom & Royal Mail. BehindTheBricks is the new API-based service from WhenFresh, providing Insurers with instant access to over 2bn data items for Insurance form pre-fill, risk & claims management applications. We can also supply c. 300,000 in-market UK insurance renewals per month. WhenFresh partners with Zoopla and many more UK property-related data sources and applies advanced proprietary data science to provide both off-the-shelf and bespoke services and marketing data for Estate Agents and related businesses in the residential property sector. Millions of home-owners & renters move house in the UK each year, and WhenFresh applies advanced temporal analysis to its unrivalled data assets to provide predictive solutions to the UK Utilities sector for customer retention, acquisition, switching and debt management. By blending its vast wealth of home mover and life-stage data with customer & prospect databases, WhenFresh can accurately predict when people are in the market for a wide range of retail products, so retailers can target the right customers at the right time. Streamline your Collections processes and focus your efforts on the most recoverable debt. The WhenFresh Collections Suite can help improve contact rates, automate/validate I&E processes and inform litigation strategy. Use WhenFresh Expenditure Data for I&E to help automate & validate your Income & Expenditure processes and build a more accurate picture for fairer, more sustainable outcomes for consumer debt collection & management. Home Insurance Prefill is now available from creators WhenFresh for immediate flat-file delivery, giving insurers 7 key characteristics on virtually every residential property in the UK for Prefill & other applications. The new ‘one-stop shop’ for UK Insurers, giving instantaneous API access to over 2bn verified, UK property-related data items for insurance form pre-fill, risk, claims management & related applications. Using advanced temporal analysis, we predict move dates and the effect this has on the timing of purchase intent for many products & services, so you can target the right consumers at the right time. WhenFresh combines its unique data assets with advanced data science to accurately predict when properties will be sold or rented before they are on estate agents lists, for right-time marketing applications. WhenFresh Data Scientists match our rich data assets to your historical customer and sales data to identify key triggers so you can focus your acquisition & retention marketing on the right people at the right time. WhenFresh holds a vast wealth of property-related data & applies predictive analytics to identify approx. 300,000 renewal dates per month, so Insurers can focus offers on the right people at the right time. Using its unrivalled data assets and advanced data science, WhenFresh undertakes in-depth analysis of asset, income & regional stability across the full Buy-To-Let portfolio to help minimise risk for lenders. "See how the new WhenFresh BehindTheBricks API can give you instant access to over 2bn UK property-specific data items." WhenFresh brings together more than 200 private & public UK data sources in one place to form a live, combined consumer database of unrivalled breadth and depth, comprising over 2 billion verified, provenanced data items. Our data scientists use advanced analytics to turn these data assets into innovative, insightful ‘off-the-shelf’ products and services for a wide range of applications including: customer retention, acquisition and verification, insurance form pre-fill, risk management, collections, compliance and suppression.